Nobody can force you to make payments, but bank levies give creditors a powerful collection option when you’re behind on payments. But that doesn’t mean you’re powerless. In some situations, it’s possible to prevent a levy, especially when the only money in your account is from federal benefits. A bank levy is a legal action that allows creditors to take funds from your bank account. 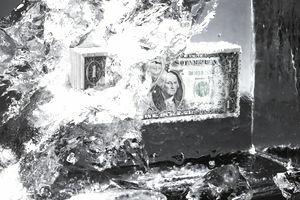 Your bank freezes funds in your account, and the bank is required to send that money to creditors to satisfy your debt. For a creditor to demand funds from your bank account, the creditor must provide a request to your bank showing proof of a legal judgment against you. Advance warning: Once your creditor makes that request, your bank will freeze your account and review the situation. But your bank might or might not notify you that a bank levy is in progress—and creditors might not alert you either. However, a levy is a strategy that creditors typically use only after they have given up on other ways to collect from you. Presumably, by that point, you would already know that creditors are taking legal action and trying to get money from you. Dispute options: You should have an opportunity to dispute a levy. Doing so can prevent it or reduce the amount of money that creditors can take from your account. If you take no action, it’s possible for lenders to completely empty your account, which makes it challenging to pay essential expenses. You might end up bouncing checks and paying additional late fees to other organizations. Plus your bank typically charges you a fee to process the levy. If you’re not sure who is levying your account, your bank should be able to provide contact information for the creditor. Bank levies can continue until your debt is completely satisfied, and they can be used repeatedly. If you don’t have sufficient funds available on the first try, creditors can come back numerous times. But you can potentially prevent and limit levies to your account. Speak with a local attorney (laws vary from state to state) to find out what options are available to you. A few possible approaches are listed below. Creditor error: If you don’t owe the money, you can fight the levy and prevent the creditor from moving forward. That approach could work if you already paid the debt, or if the amount is incorrect. Identity theft: If you’re a victim of identity theft, you can show that you never received the funds. Old debt: If the statute of limitations has passed, your creditor might not have the authority to collect from your account. No notification: If your creditor did not notify you of any legal actions, you were not properly and legally served, and it may be possible to stop any future legal action against you. Bankruptcy: Filing bankruptcy might stop the process, at least temporarily. Negotiation: Any agreement you reach with your creditors can stop the process. It may be worth trying to negotiate so that you can take some control over the situation. The source of funds also matters. Depending on how you got the money in your account, it might not be available to creditors. Your bank is supposed to figure out if your account balance contains protected funds, but things can get complicated if you have deposits from several different sources. Federal payments: Benefits like Social Security payments or federal employee pensions are typically protected. However, if you owe money to the federal government, you don’t enjoy as much protection as you would if you owed a private creditor. Child support: Money that you’ve received from child support payments may also be exempt from collection. However, if you’re behind on child support, it may be easier for an ex to tap your bank account. Several different types of creditors might be responsible for a levy. The IRS and the Department of Education are especially likely to use levies, but private creditors (lenders, child support recipients, and so on) can also win a judgment against you and levy an account. If you owe money and have not been able to reach an agreement with any creditor, it’s best to anticipate that they might use a levy as a strategy to collect funds. Again, it’s essential to get advice from a local attorney who is familiar with your situation whenever you're potentially facing legal troubles. This page is a general overview, but laws vary from state to state, and things change over time. Plus, your situation is unique. Appealing a levy is a complicated process, and you may have to argue your case. Creditors will do everything they can to argue that funds in your account are not exempt. Is There Such a Thing as Bank Account Garnishment?